New Agar Dress from H&R London! 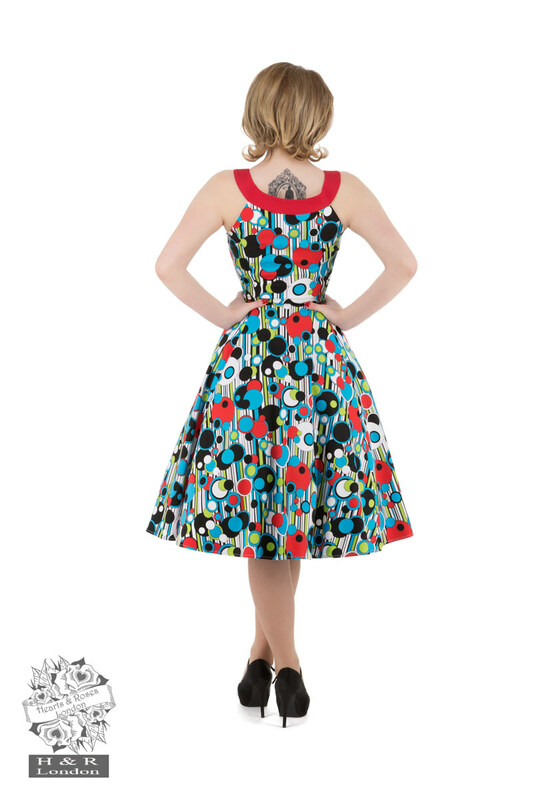 The beautiful red collar highlights the bust line and upper back, while the colourful dots on the strip add whimsy and joy to this beautiful dress. A full swing skirt ensures the ability to twirl! Dress hits below the knee, and zips up the side.